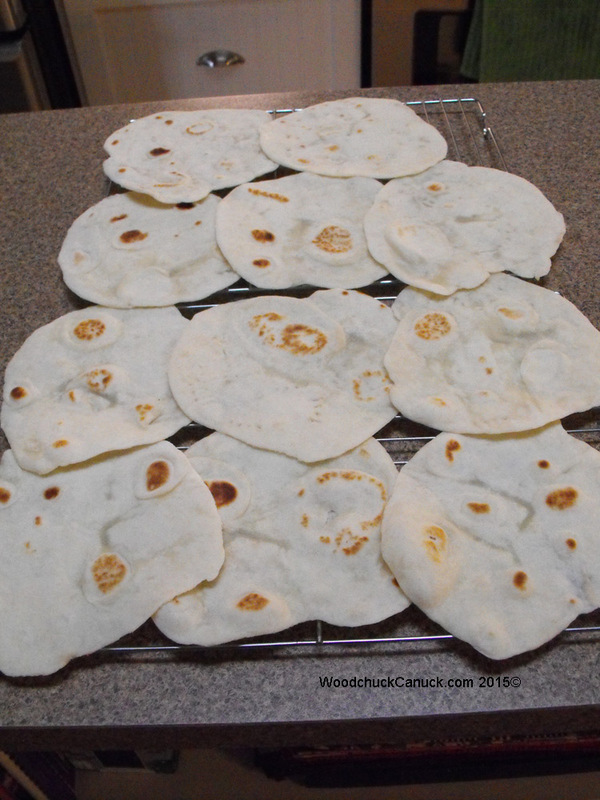 Made some of these pita shells for supper after seeing a commercial for A&W’s Chicken Bacon Wrap Sandwich. Never made the shells before. Super simple recipe and they bake on the stove top in a frying pan 60 sec one side, 30 sec on the other. The shells with the darker spots had the best flavor so I’ll be sure to darken them some more next time I make them.